Welcome back to #TuesdayTunes! Woo-hoo!!! Been a long while since the last one, methinks. For today, I am sharing a very good set of songs and singers. While on hiatus from The Walking Dead vids, I discovered many reaction videos that are particularly about performances done while on the Wish bus. Yep, that’s right, the wish bus! And I’ve become obsessed! What am I talking about? I’ve heard about this bus before, but it is only now that I’m discovering these videos. It’s really rather simple. There’s this bus that on given days, goes around the metro or parks in one place. What’s so special? 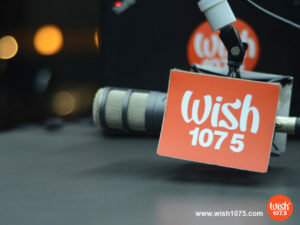 This bus serves as the station for Wish 107.5 FM where various singing artists perform live, for real, in real time, like a mini-concert, and everyone around the bus can hear them! Guess what? Too many of their vids have gone really viral, like full-blown viral. Can I just say “Really nice concept, Wish peeps”? Alright, guys, though these are all local artists, I encourage you to at least check them all out. I’ve put together a great collection of awesome performances with different flavors. A lot of them have more than one great performance, but I chose either my faves or what YouTube viewers and reactors loved most. You’re free to click stop and move on to the next ones, but before you do, please give each performance a chance first. You’re bound to be surprised. Let’s start with the youngest — 14-year-old Darren Espanto with Chandelier, so yeah, you know what you’re in for. His I Believe rendition won for him the Best Wishclusive Performance by a Young Artist award in the recent Wish Awards, but the first is somehow his staple song (my opinion), so I’m sharing that one. If you don’t like this style, at least lend him an ear. He’s a Filipino who grew up in Canada and was already doing front acts in concerts before he joined The Voice Philippines – Kids Edition and won second place (he should have been first, but I’ll keep my mouth shut). Alright, has he got your heart pounding? Let’s slow things down a bit with Bugoy Drilon, a former canteen janitor. A lot of our artists nowadays are products of singing competitions on TV. This guy won second place in the second season of Pinoy Dream Academy (PDA). Why second-placers often make it bigger than the first-placers, I have no idea. Anyway, he’s supposed to be a balladeer (he’s got a few hits), but when he joined the We Love OPM contest last year, I think that’s when they discovered his other hidden talent in singing. He showcases that here. Marcelito won in the 2011 Pilipinas Got Talent (PGT) contest. I think it’s not hard to guess why. Like many of our artists, he was also dirt-poor with a colorful background before finding fame. Now we go to a real girl. By now, you can guess she was part of a singing competition also, he he. Well, not my intention. It just happens these vids feature them. Anyway, this is Morissette Amon, or simply Morissette, and if you check this vid out, you’ll understand why she won most of the awards in the Wish Awards. Up next is Klarisse De Guzman (sadly, I can’t find a good enough bio of hers for now) singing a classic with a lot of class. Her vids didn’t get that many hits/votes, but I think she earned a place here. She won second-place in the same TVoP season where Morissette was in and they had the same coach. Alright, enough of the high-note divas and divos! We have here another artist, a diva in her own right. Oh, she’s very special! She won first place in The X Factor Philippines in 2012 (Note: Filipinos really love music! Singers tend to win this contest when it’s supposed to be for every kind of talent…Well, singers and dancers, actually, ’cause we love to dance, too!). This is Soul Supreme KZ Tandingan. Anyway, I decided to post two vids here of her ’cause I couldn’t help it. I don’t know which one’s better! There’s a third with her, R’n’B Princess Kyla and songwriter Pop Rock Princess Yeng Constantino (she won first place in the first of the only two seasons of PDA). Kyla’s the one with the sweet voice and she rapped, too, to my surprise. Yeng is more into alternative, so don’t expect her to go all-diva like the others. She writes wonderful songs, one of which is my favorite that I have shared here before called Hawak-Kamay. They sang another song but it’s been taken down. 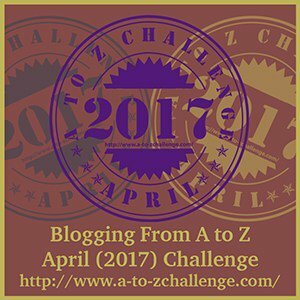 I’ll be sharing it in Part 2 of this post. And now, last in this first list and definitely not the least, is music icon Gary Valenciano. Some foreigners will most probably get bored with his style because it is the Filipino style of writing and singing sentimental songs. But he actually sings dance songs also and is not called Mr. Pure Energy for nothing. A lot of us grew up listening to and idolizing him. With this vid, however, you won’t get bored AT ALL, as some reactors found out later and what made them apologize for some negative comments on his other videos that they first saw. Did you enjoy these? You did?!!! Good, ’cause I’ve got more next time.Which did you enjoy most, though? Who did you like best? Stay tuned for next time!!! I am soooo mad! YouTube deleted the Wish channel! So now, the vids here are missing and I’ll have to edit this again. I hope the vids are uploaded again on their new channel.